In a short period of time, U/D went from a vision of a master-planned community to a liveable, walkable, mindfully-made neighbourhood where future residents like Melissa Bontorin and Garrett Bowman, first-time homebuyers, millennials and urban living newbies, are calling home. 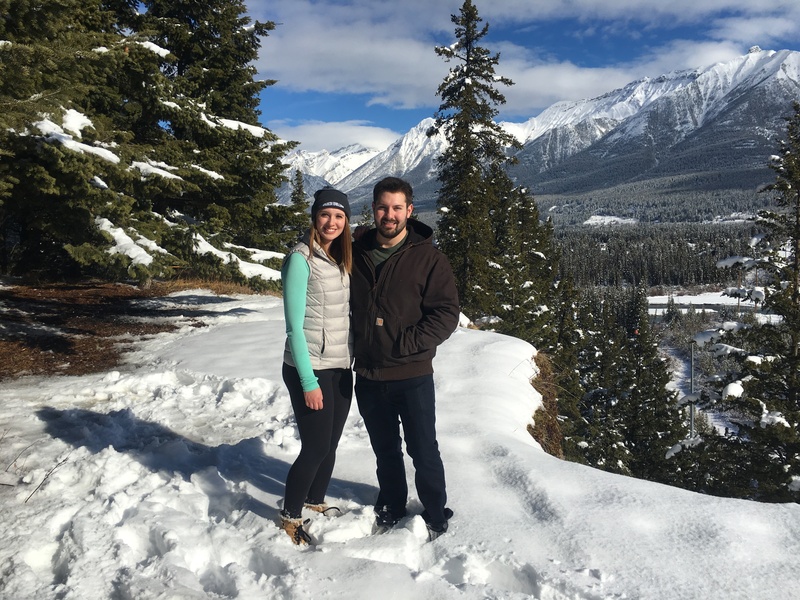 In our second installment of Block Talk, a series that introduces residents and neighbours, Melissa and Garrett offer insights on starting life together in U/D. Keep reading to learn more about urban living and what drew them to our vibrant community. Whether you’re a new resident at U/D, a future resident, a Northwest neighbour, or Calgarian looking to learn more about the community, we have a great Northwest guide that will let you shop, play, eat and explore. What is it about urban living that appeals to you? University District is a departure for us, especially having both grown up surrounded by the outdoors. After living in residence while studying at the University of Alberta, where we first met, our attraction to apartment and condo living grew. 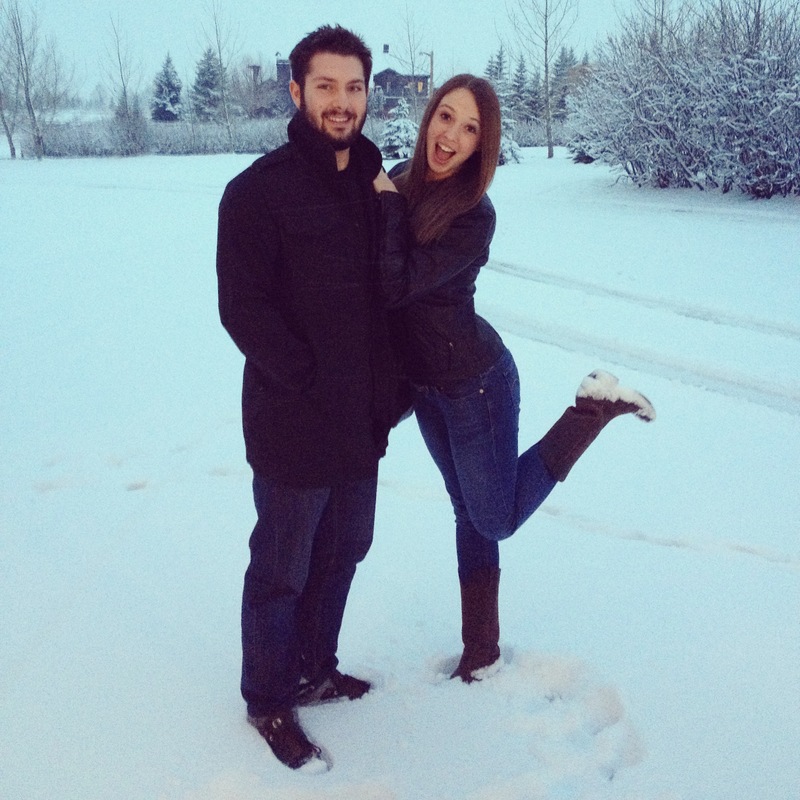 We moved back to Calgary and shortly after began toying with the idea of purchasing a place together. We knew living in a dynamic community with easy access to recreational options, entertainment and cultural activities was a must. When we came upon August by Avi Urban in U/D, immediately we were drawn to the development’s modern amenities, comfortable living space and elegant style. It ticked all of our boxes! We really fell in love with U/D’s urban lifestyle concept. With all of our daily needs in easy reach, it felt natural that the community would be our home base. Well thought-out, planned to make life simpler and connected to already familiar neighbourhoods. We’re so excited to move in! Blaze Pizza’s ingredient-forward approach is giving NW Calgary fans a reason to celebrate! Get the skinny on what to expect with its new U/D location and how to make your own pie, the Blaze Pizza way. Take a read! How do you feel living in University District will give you the sense of community and connectivity you’re both looking for? From our perspective, U/D has been designed with the community experience in mind. It’s a gathering place where we’ll see familiar faces at the grocery store on a daily shopping run or while out walking their dog on the pathways. With its open spaces, community ping pong table (which we’ll be playing plenty of!) and an inclusive playground for kids and adults to enjoy some outdoor amusement, U/D seems to encourage people to explore and have fun. We feel like we can build our social network and form lasting bonds with our fellow neighbours. These features are what set U/D apart from other communities. For us, it’s really about the experience and U/D offers one like no other. What would your ideal Saturday look like at University District once retailers are open? There are so many ways to answer that question! An ideal Saturday would be getting dressed and taking advantage of all that U/D has to offer. We were thrilled to hear that YYC Cycle would start the day with a workout class at YYC Cycle, and after working up an appetite, we would treat ourselves to OEB for a hearty breakfast. You can’t go wrong with their eggs benedict – yum! Beyond a typical day off of going to meet with friends or doing some house chores, the best way to end off a Saturday night is to catch a movie or sit out on our balcony, in which case we’d stop at the nearby wine store. So many idyllic ways to enjoy a day off together! Long-time NW resident, University of Calgary alumni and passionate community member Sam Lau calls U/D home. As one of the first residents of our vibrant community, Sam offers his views on downsizing and starting fresh, being neighbourly and what he loves most about living in our age-inclusive community. See what he had to say in the first installment of our Block Talk series, here! As University District develops, the community will be bustling with new residents like Melissa and Garrett, and the addition of new retailers over the next year. Watch for more exciting announcements about home options, rental opportunities, retailers and park openings anticipated. You can stay up-to-date by registering for the monthly newsletter or contacting our Discovery Centre.